My name’s Stephan Papadakis, and I race a Honda Ridgeline. I race the Ridgeline – actually, it’s a tube-frame chassis with a Honda K24 engine and a fiberglass Ridgeline body – in the Lucas Oil Off Road Racing Series Pro Lite Unlimited class. It’s short-course, off-road racing, which is kind of like Supercross dirt bike racing, only with four wheels. It has tight turns and huge jumps – doubles, tabletops, even whoops and moguls. 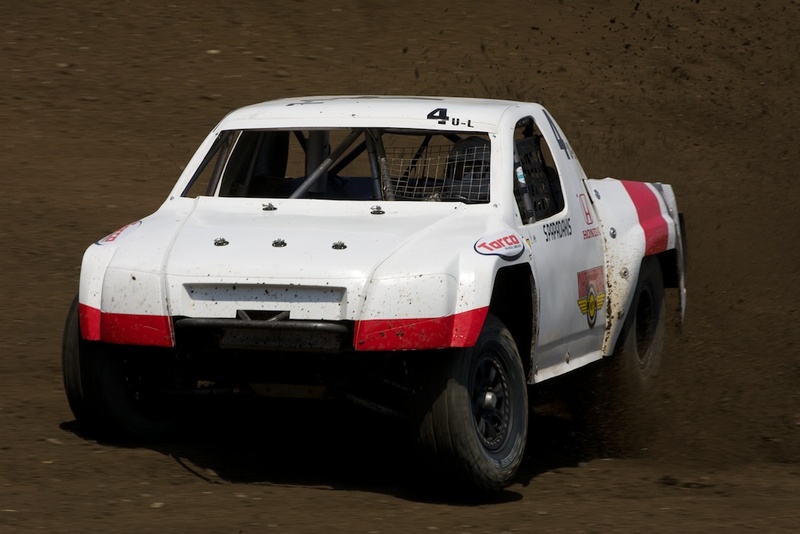 Unlike desert off-road racing, in which vehicles leave the starting line in 30-second or one-minute intervals, this is much more like road racing, with 15 to 20 trucks in wheel-to-wheel action. I got into short course, off-road last year after competing and doing well in drag racing, drifting and road racing. Short course has some interesting engineering challenges. You need to build a powerful engine and drive train and gearing that will hold up to the pounding. You’ve got to have reliability, because the engines are pretty highly strung to make the necessary power. They also take a huge beating every time you land from a jump – sometimes we’re flying 100 feet. And the cooling system is packed away to protect it from dirt and rocks, so the engines don’t get a lot of cooling. There are a lot of difficult factors to overcome in order to have a good package. From a driving perspective, it’s like road racing, because you’ve got multiple left and right turns – although they change every lap. Then, you’ve got obstacles in the form of jumps, and competitors that have no problem with sticking their bumpers into your doors. It’s wheel-to-wheel and very competitive. You’re drifting through the turns and sliding around, while still trying to stay quick. I do all of this in a truck that has a 106-inch wheelbase, weighs 2,800 pounds and has 12 inches of suspension travel at the front and 14 inches at the rear. The rules are pretty restrictive, and all the trucks must fit in the same box. It’s practically spec with respect to the chassis, which is purpose-built from the ground up, from round and square tubing. The engine sits just about where the passenger would sit. Because we’re flying these trucks over big jumps, they need to be well-balanced, so they don’t land hard on the front or rear. The engine is based on a 2.4-liter K24 such as you would find in an Accord or Element – including a carburetor per the rules – and it drives the rear wheels. Mine is the only Honda in the field. Although some of the buggies – which are kind of like off-road Formula cars – run Honda power, I’m driving the only Honda-powered truck. The reason is that our race team has always been about doing more innovative stuff. The motor that has been the competitive engine package is quite old, quite developed, and it’s not how we like to go racing. So, we looked around and decided the K24 engine has parts availability, it’s a current platform and it has tons of potential. At the same time, it’s something to talk about. It’s a Honda Ridgeline out on the track. We wanted to do something different and we want to go out there and compete with a different combination. I also have a long history with Honda. I started professional import drag racing in my early twenties in a Civic. In my drag career I won three championships, set numerous ET records and held the titles of World’s Quickest Honda, World’s Fastest front-wheel drive – among others – and set numerous firsts, such as first Honda to break 200 mph. In 2005, I went drifting with a Honda S2000 and was named Formula D Rookie of the Year. 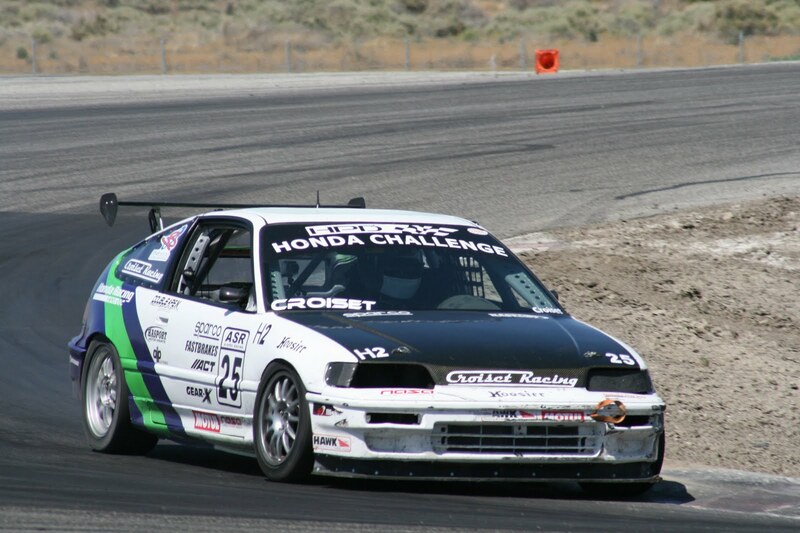 I’ve also road-raced Hondas in the National Autosport Association’s Honda Challenge. The Honda Ridgeline Pro Lite truck in short course, off-road is just the next step in my motorsports career driving Hondas. I look forward to hopefully claiming Honda’s first championship in the sport. 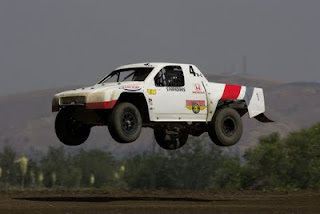 Look for Stephan Papadakis and the Honda Ridgeline when the Lucas Oil Off Road Racing Series goes to Glen Helen Raceway in San Bernardino Calif., in August; Las Vegas Motor Speedway in November, or visits the Phoenix area in September and December. You can also catch the series on CBS, SPEED Channel or Versus. Rounds 3 and 4 of the Spec: RaceAtom Presented by Honda Racing/HPD series took place on July 16-17 on the very challenging, and fast, full course at Virginia International Raceway. Fifteen drivers were on hand for the Saturday event which provided three practice sessions before getting down to business in the qualifying session. A quick lap time in a Spec Race Atom racecar comes down to driver skill and the ability to find clear track, as all the cars are identical. At the end of qualifying, the top three grid positions were set with Aaron Elsner, Jim Lewis, and Jim Taggart, respectively. The close qualifying times throughout the entire field showed that it was going to be a great race. The race would prove to be action-packed from the drop of the green flag. All the cars made it cleanly through Turn One and jockeyed for position heading into the climbing esses. Car #45 of Jim Lewis had a brief off-track excursion at the famous Oak Tree turn dropping him back to 10th from second. Lewis worked consistently throughout the 20-minute race to charge back to a solid fourth-place finish. At the checkered flag, it was Elsner, Taggart, and Tyson Bytzek taking the podium positions, with Lewis and Christian Shield rounding out the top five. Sunday brought another complete schedule of racing, with three practices, qualifying, and a race session. Many competitors were working hard throughout the practice sessions to find additional speed. Only minor changes such as to tire pressure and alignment settings, are legal within the series rules. Sunday’s race action was not limited to the front end of the grid. There were intense battles happening in all grid positions, with one of the closest being for 11th position between series newcomer Kent Lewis and Mark Hyman. After 10 laps of nose-to-tail racing, it was Kent Lewis who took the 11th position. Aaron Elsner crossed the line for his fourth victory of the season; however, he was chased very closely by Tyson Bytzek in second position. Jim Lewis drove a smart race to make his first appearance on the Spec: RaceAtom podium, in third position. The Spec: RaceAtom series continues to provide great racing excitement for the drivers, while at the same time providing a race car with exceptional reliability and speed. Throughout the weekend, there were no mechanical DNFs. Races 5 and 6 will take place August 20-21 on the North Course at Virginia International Raceway. My name is Jeremy Croiset, and I compete in the National Auto Sport Association (N.A.S.A.) Honda Challenge H2 class in a Honda CR-X. I’m also the organization’s sponsorship manager. N.A.S.A. is an amateur road-racing sanctioning body, with 13 regions across the country. Its bread and butter is having the ability to take anyone with any sort of safe-operating street car, put him or her on the racetrack and train him or her to become a wheel-to-wheel racer. 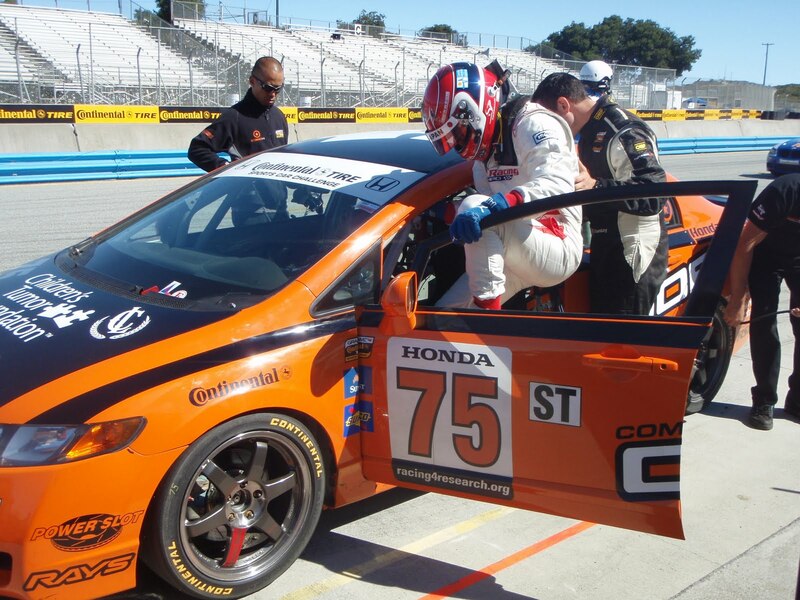 Anybody who has interest in driving a Honda fast and safely can hop on a racetrack with an instructor, learn what he or she needs to do and get up to speed while developing the skills required to become an excellent racer. That’s N.A.S.A.’s philosophy: to provide a safe and fun environment for people to partake in high-performance, on-track driving. 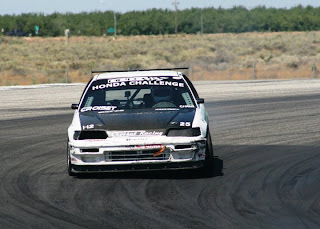 The HPD Honda Challenge series is one of several series in N.A.S.A. The rules are based around Honda factory parts and making the most of the parts that Honda has provided as an O.E. manufacturer. The Honda Challenge is divided into five classes, H1 through H5, with H1 being the fastest and H5 being the slowest. The modifications that can be made to the cars are more extensive in H1 and less extensive in H2, and then fairly restrictive in H3, H4 and H5. H2 and H4 are the most popular classes nationally, followed by H1. That’s likely due to the cost involved in building a competitive car for the H1 class. In H3, H4 and H5, the rules are based on the particular chassis you choose to race with. In H2 and H1, the chassis is no longer the defining point; the motor is. You can essentially combine any sort of chassis and engine you want – that’s permitted under the rules – and there are many combinations you can choose from. You then set the weight of the vehicle, based on the engine of your choice. 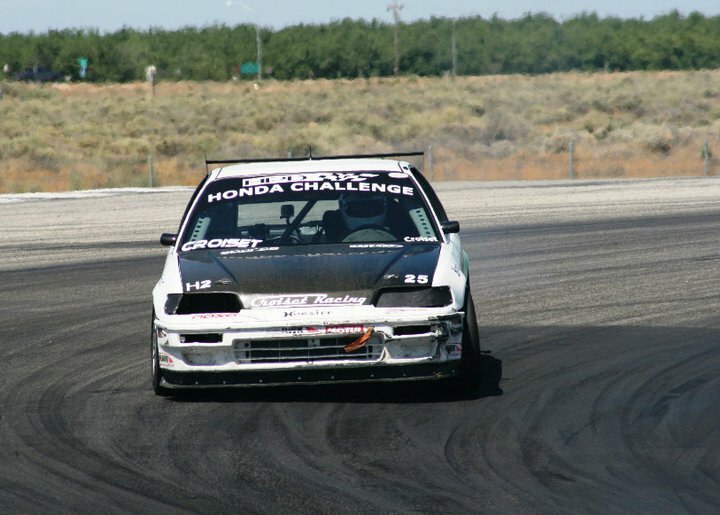 My Honda CR-X started out as a street car when I first got it and I slowly converted it to a track car. 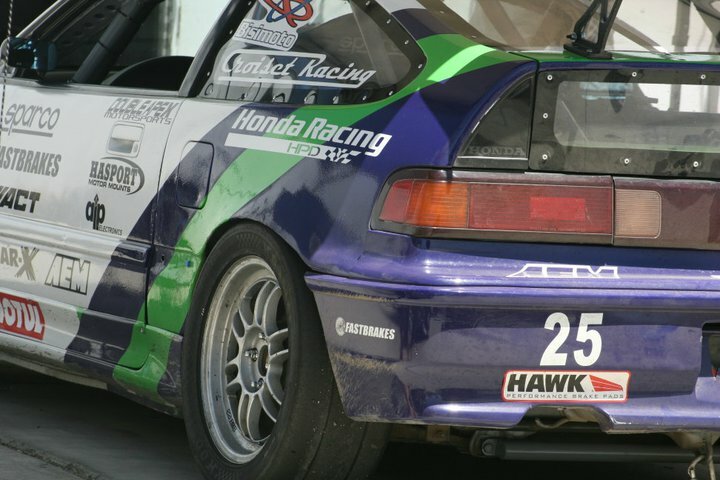 Then, it became an H4 racecar and eventually I moved it to H2 by swapping in a B16 engine with an Integra Type R transmission. I’ve had good success with my CR-X in both the H4 and H2 classes. I got involved with Hondas because I loved the body style of the CR-X and the reliability that the cars provided, and it hasn’t let me down. I won the 2007 H4 Southern California Regional Championship, which was pretty hotly contested, and was runner-up in 2006, missing the title by just five points. One of the things that I’m really proud of, even though we didn’t get the finish that we wanted, was last year’s effort for the N.A.S.A. National Championships at Miller Motorsports Park. We started basically from scratch about a month before the event and tore my CR-X down to nothing, basically to a bare shell. We painted everything and rebuilt it from the ground up in about two-and-a-half weeks. We finished it at the track, and put the car on the outside pole for the main race, having finished first in one qualifying race. I’d have had a fighting chance to win if I hadn’t had contact with another car. It was just myself, my brother and my friend, Robert, who did all the work in such a short period of time, and we were able to put in a pretty stellar performance in a car without any testing. It was a bittersweet weekend that will not be forgotten. This year is looking pretty good thus far. We are dominating the SoCal regional Honda Challenge races this season and I’m already looking ahead to the National Championships, held this year at the Mid-Ohio Sports Car Course. It’s a fun track, challenging and technical. I don’t think I will necessarily have the engine combo to beat there, but I think I have one of the better chassis for that track. It would be tough to do all this without HPD – which sponsors the Honda Challenge Series – and the Honda Racing Line program. I was one of the first people to sign up for that program when it first came online. In my business, I understand that what I do and who I purchase parts through has an effect on the overall outcome of the program. I use HPD whenever I need anything for the car. I’m looking forward to getting to Mid-Ohio, this time with a fully-sorted car, and getting the finish we missed out on last year. Look for Jeremy Croiset at the 2011 N.A.S.A. National Championships at Mid-Ohio Sports Car Course, Sept. 8-11. Monterey, CA (July 14, 2011) – What does an American Le Mans Series champion and open-wheel driver do on an “off” weekend? Why, he finds a way to go racing with HPD, of course! Simon Pagenaud – former Champ Car regular, reigning ALMS champion, sometime IndyCar driver and 24 Hours of Le Mans contender in 2011 – had a break in his busy calendar last weekend, and he took that opportunity to race an HPD-developed Honda Civic Si at the Laguna Seca round of the Continental Tire Sports Car Challenge. Previously, Pagenaud had sampled both the Honda B-Spec Fit and hybrid Honda CR-Z at last December’s 25 Hours of Thunderhill NASA endurance race. Now, it was time to try out the Civic, run by twice-champion Compass360 Racing and teamed with series regular Ryan Eversley. It wasn’t a “storybook” weekend for the pair – a red flag in qualifying meant they started near the rear of the grid, 26th, in their #75 Skunk2/Honda Performance Development/Racing4Research Honda; and a hard charge through the field netted a sixth-place finish – but Pagenaud thoroughly enjoyed the experience. The result keeps both Eversley and Compass360 second in the driver and team championship standings, with two races remaining. Pagenaud enjoyed his weekend with the team. Pagenaud has sampled Honda-powered racing cars at both ends of the competitive spectrum, from the entry-level Fit to pinnacle Indy cars and sports prototypes. He finds similarities throughout. "Through the range of Honda-powered cars I have driven in recent years the Indy car and the HPD ARX-01e sports car are very similar in speed and driving style. “The Honda Civic can be found at your [local] dealers, and with good preparation and HPD components on it, it then becomes a great race car, with a good amount of power and fantastic handling. We had some great battles this weekend with others brands like Mini, BMW, Mazda, Kia and Volkswagen. "If you want to go road racing, Honda and HPD have a great range of options. I've driven the Honda Fit, the CR-Z hybrid and now the Civic: Those three cars are really great stepping stones for road racers. Pagenaud will continue to sample and race a variety of HPD performance products through the remainder of the year, including a Rallycross version of the B-Spec Fit, as well as a Honda-powered Formula F and kart. 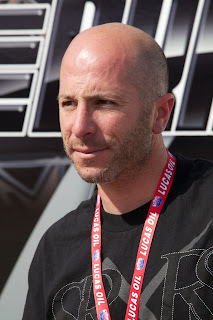 “I am very excited to go dirt racing in the Rallycross for the first time,” he enthused. “It certainly is going to be a lot of fun, and is a discipline that is really rising. Personally, I have done a few rallys in France in the past, but this will be my first Rallycross event, and I am really looking forward to that." The goal of Pagenaud’s participation in these events is to help HPD engineers develop better products for members of the Honda Racing Line. "I really enjoy participating with the HPD engineers in the development of all these cars. Hopefully, my feedback can help both current and new Honda drivers. Honda and HPD really have a great range of options for competitors. I think you'll see young drivers come through the Honda system in karts and F1600 Formula F to rise into IndyCars and professional sports-car racing." Pagenaud’s team at Laguna Seca, Canadian-based Compass360, fields four front-running Honda Civic Si's in Grand-Am's Continental Tire Sports Car Challenge, having won series Championships in 2010, 2009 and 2007. 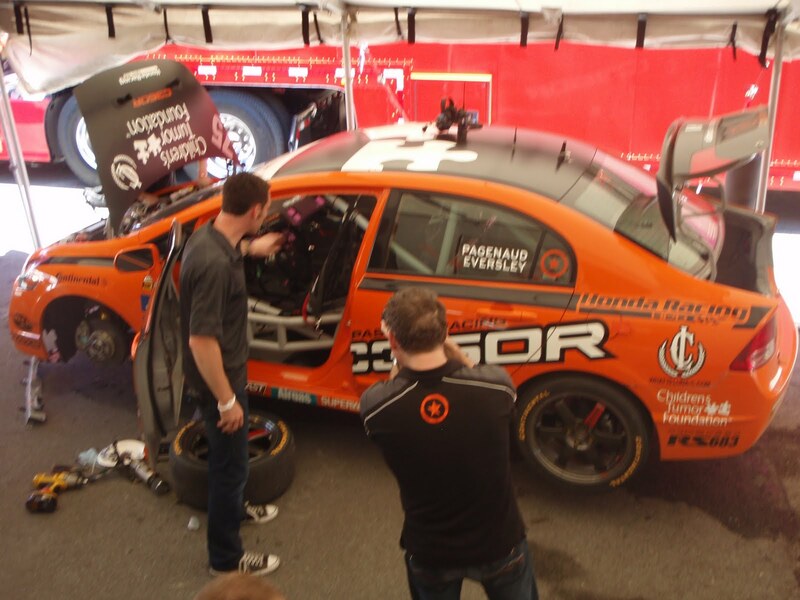 It also runs four more Honda Civic Si’s in SCCA World Challenge. The Continental Tire Sports Car Challenge race from Laguna Seca will be televised, tape-delayed on SPEED July 17th at 1 p.m.
THR and HPD tackle the 89th running of the Pikes Peak International Hill Climb! 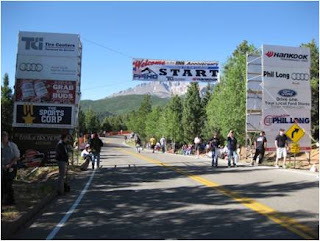 The Pikes Peak International Hillclimb (PPIHC), also known as ”The Race to the Clouds,” is an annual automobile and motorcycle ascent of Pikes Peak in Colorado. This historic race is run on a 12.42-mile course containing 156 turns that begins at 9,390 feet and finishes at the 14,110-foot summit of America’s Mountain, Pikes Peak! As the drivers climb toward the summit, the thin air slows reflexes and saps muscle strength. The air also robs engines of 30 percent of their power at the summit. Competitors and vehicles must be in top shape to simply finish...let alone win! Team Honda Research (THR) partnered with Honda Performance Development (HPD) to showcase a new B-Spec Fit developed specifically for Rally/Rally-X at the famous Hillclimb. "With the level of interest for Rally-X and with low-cost racing on the rise, we felt this event would be a fantastic way to launch the Rally B-Spec Fit with the public," stated James Robinson, driver of the Rally B-Spec Fit. 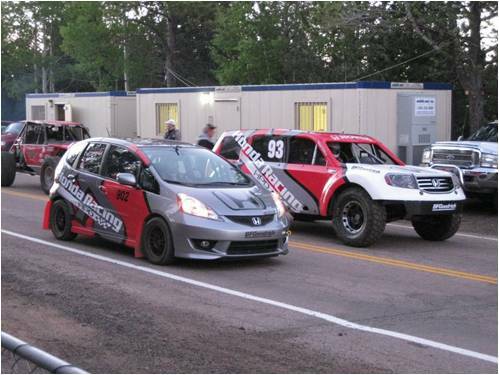 "Given the unique and varying surfaces of the PPIHC event, we were able to show the stability and reliability of the B-Spec platform." After three days of practice and qualifying, the only service required on the newly built H PD Fit was the addition of four gallons of gas and a tire rotation. "We were very excited to get the opportunity to be a competitor at the 89th running of the race, not only due to the fact that we would be able to show the new Rally B-Spec Fit, but also because this was the last running of PPIHC before the entire course would be paved," James said. After the practice sessions, the THR/HPD team felt ready to test the HPD Fit against the mountain. Due to the class in which the HPD Fit competed, the rookie team was given the honor to be the first competitors up the mountain. "This gave us a clear track on the way up, as well as a fantastic opportunity to watch the unique drama unfold at the summit, as the Unlimited Class fought to break the world-record time up the mountain set by Nobuhiro "Monster" Tajima in 2007." James continued, "Watching Tajima-san make history from the summit was amazing, and we were thankful that the HPD Fit got us to the top so that we could watch it!" Considering the B-Spec’s focus on low-cost race preparation, the HPD Fit was able to set a commendable time of 15 minutes, 46.609 seconds; only seconds slower than cars with significantly more power. "I think that there is a very good opportunity here to expand PP IHC’s current class list to include a B-Spec category, which would allow more competitors to experience the thrill of racing up this historic mountain," James said. "We received fantastic crowd support for the car, and had a wonderful time driving the Fit to the top. We look forward to another chance next year, and hope we can pull more B-Spec cars to race with us in 2012!" The THR team would like to thank HPD for its excellent support during this event, along with BFGoodrich, John Holt Racecars, Honda R&D Fabrication department, Jared Vanderhoof, Kentaro Akao, and Shana Robinson. Look for the Rally B-Spec Fit at the upcoming Rally-X events at Bark River, MI (August 13-14) and Chicagoland Speedway, IL (September 15).